Today, Ram announced pricing figures for the 2015 Ram 1500 Rebel and the 2015 Ram 1500 Laramie Limited. The Rebel made its first appearance in Detroit in January at the North American International Auto Show, and then Ram followed up with the Laramie Limited debut at the Chicago Auto Show a month later. The 2015 Ram 1500 Rebel will start at $42,790 for the 4×2 crew cab powered by the 5.7-liter HEMI V8. The price jumps to $44,720 for the 4×4 model, but that’s with the 3.6-liter Pentastar V6. If you want max HEMI power in the 4×4, be willing to shell out $46,370. These prices do not include the $1,195 destination charge. 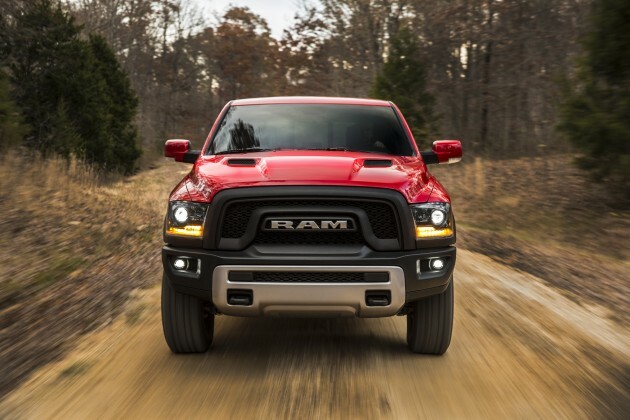 The 2015 Ram 1500 Laramie Limited starts a little higher. The 4×2 crew cab goes for $50,675 with the 5.7-liter HEMI V8 power and for $53,795 when drivers opt for the 3.0-liter EcoDiesel. Taking the Laramie Limited to the 4×4 crew cab spikes the price to $54,180 for the HEMI and $57,300 for the EcoDiesel. These also exclude the hefty destination charge. 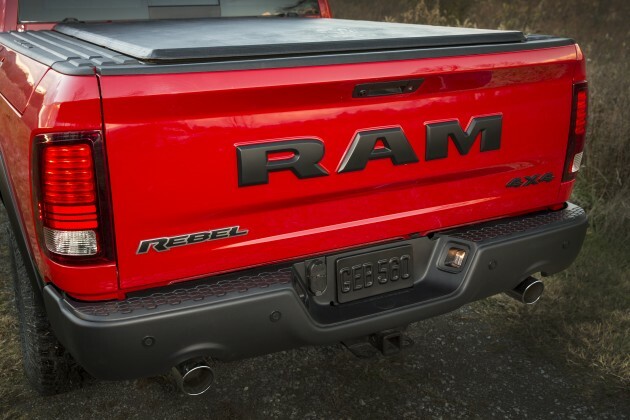 The Rebel is noteworthy because of its obnoxiously large RAM badging on the rear. It also gets 17-inch aluminum wheels, a blacked-out grille, Radar Red seats, and more. 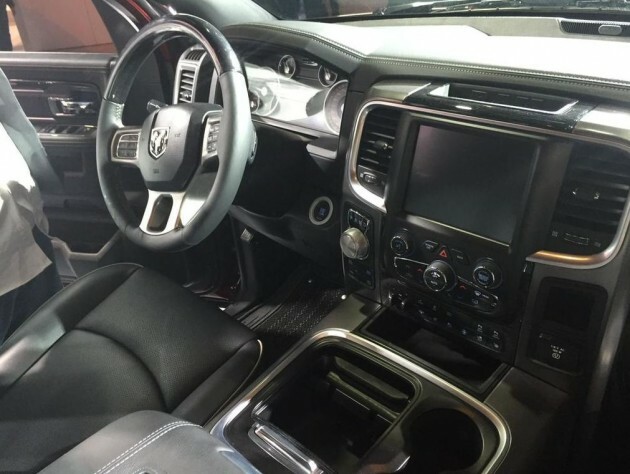 The luxurious Laramie Limited adds premium materials to the interior but also gets some new styling for the exterior, including 20-inch forged multi-surface aluminum wheels and chrome accents. It’s also got that big, old RAM badging on the tailgate. Both trucks should be arriving in dealerships next month as mid-2015 models.